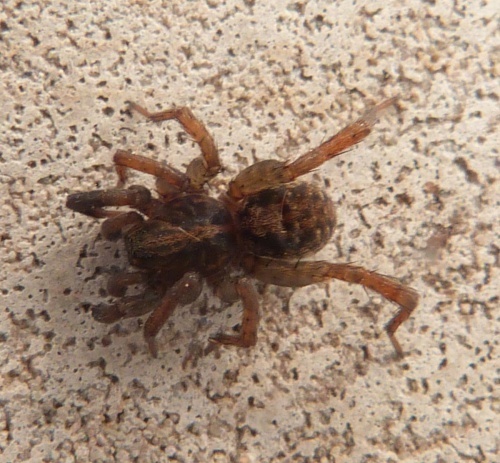 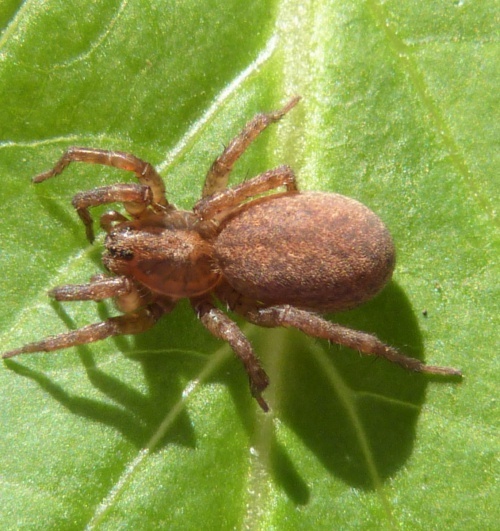 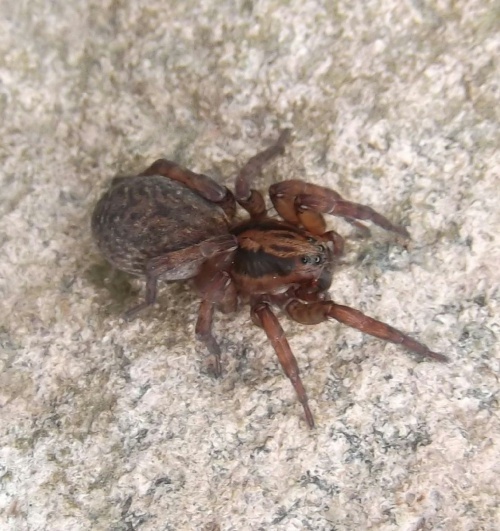 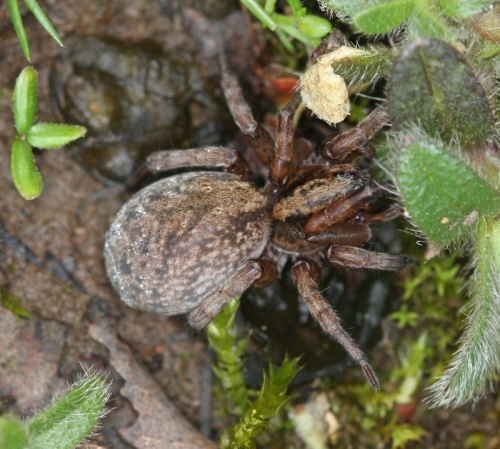 A wolf spider - the female has a reddish abdomen and the male has darkened front legs. The two short lines on the carapace are diagnostic of Trochosa species. 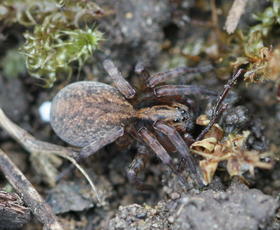 T. ruricola is similar but has a light cardiac mark wheras in T. terricola it is dark. 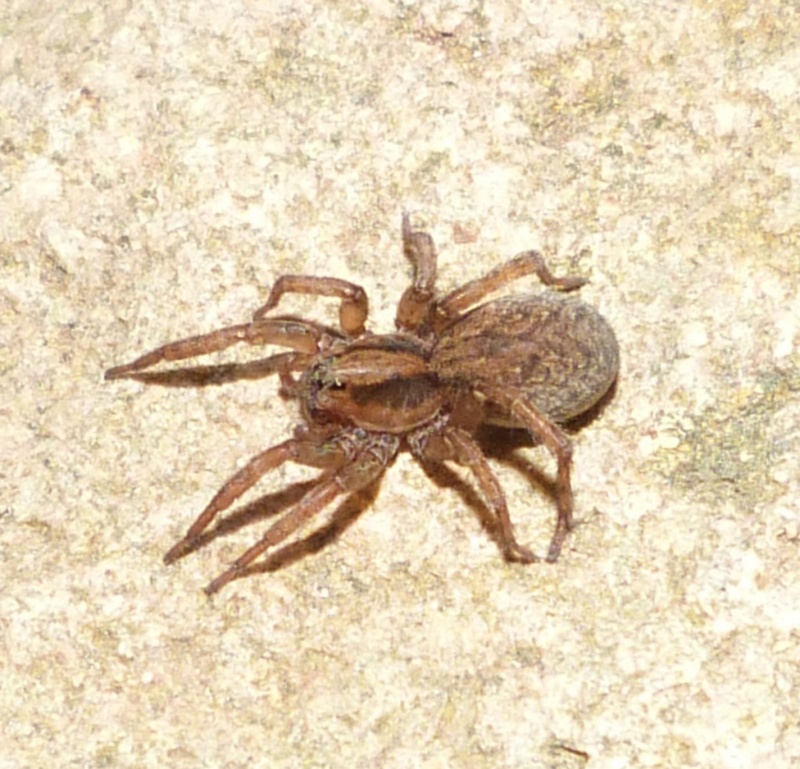 Under stones, particularly in damp habitats. 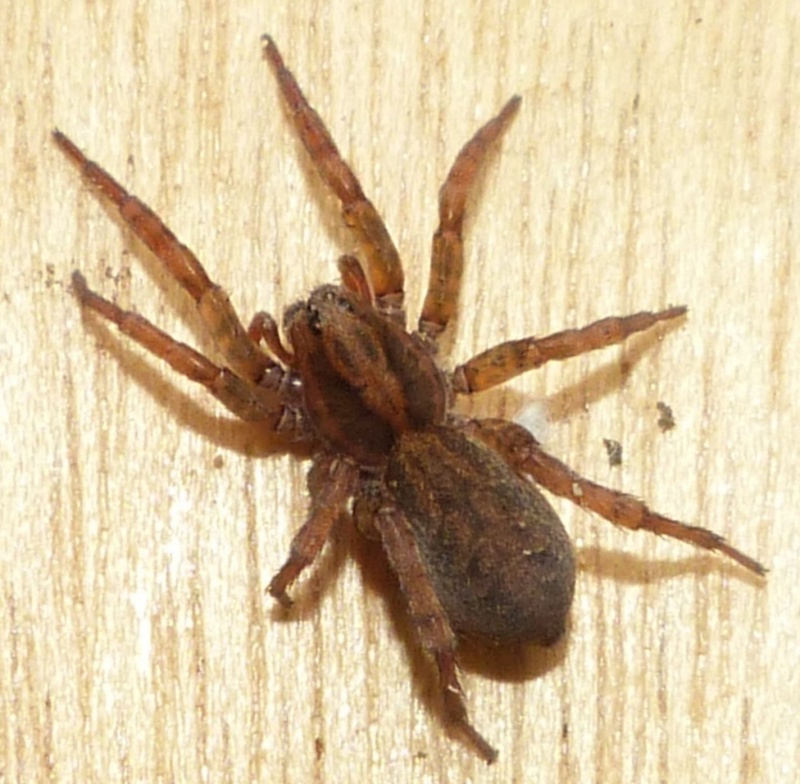 Relatively common and very widespread in Britain.